Lots of people, each with a private car, means lots of traffic, pollution and wasted space on the road and in the form of parking lots. 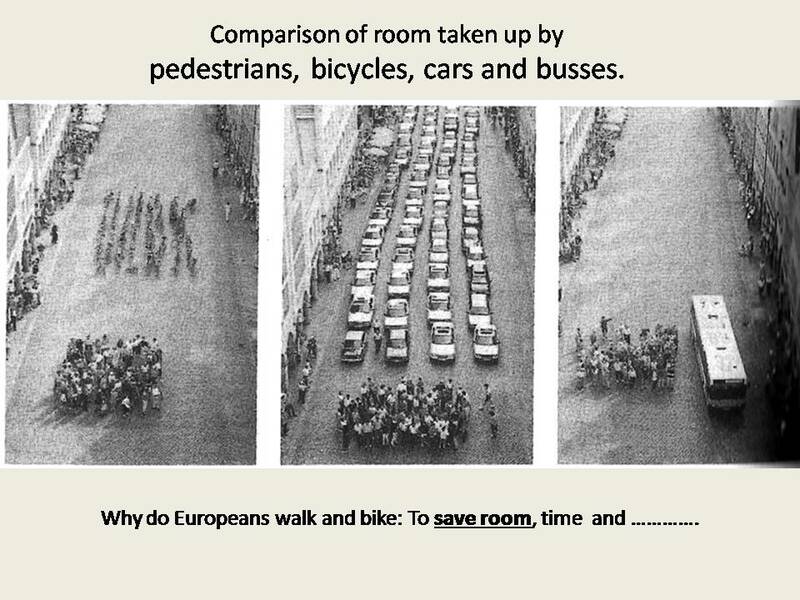 The smaller the car the better it is for congestion. Even better would be to use public transportation if it is available. European residential areas are much closer and easily accessible to a transit system (which is convenient – inexpensive – frequent) and existing infrastructure. 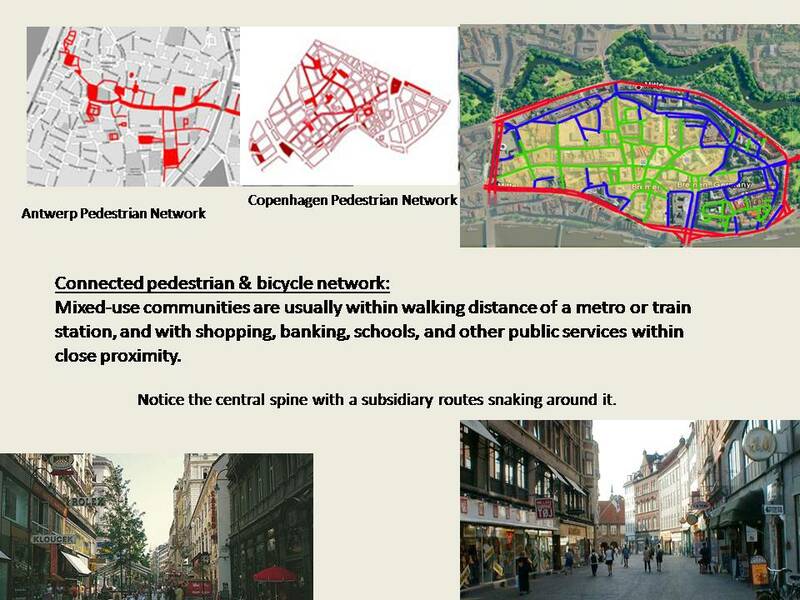 There is a strong emphasis on connecting with and building onto the existing city and its fabric and make walking and other alternatives to the automobile possible. 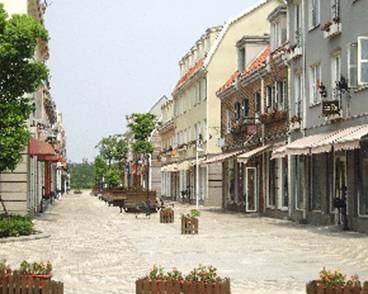 Urban areas have town centers, diverse housing types, a mixtures of uses and activities. Residents are frequently within walking distance of a wide variety of services, shops, and community functions, and are able to get to many more places by foot or bicycle. Commercial uses and more intensive residential uses are located in a neighborhood center. To keep food-transportation costs down, local or even community gardens/farms have been constructed that provides fresh produce and fish to local neighborhoods. Even some apartment residents grow personal gardens on balconies and even the facade of their buildings with panels against the wall. 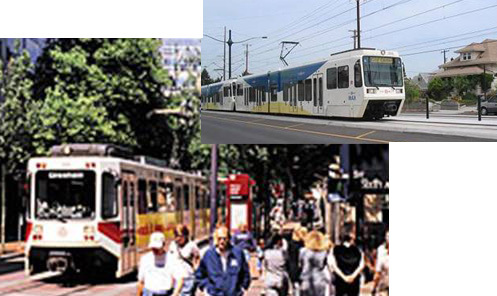 Most cities are a complementary mix of residential and commercial properties and an open, comfortable design that promotes walking, bicycling and transit use. 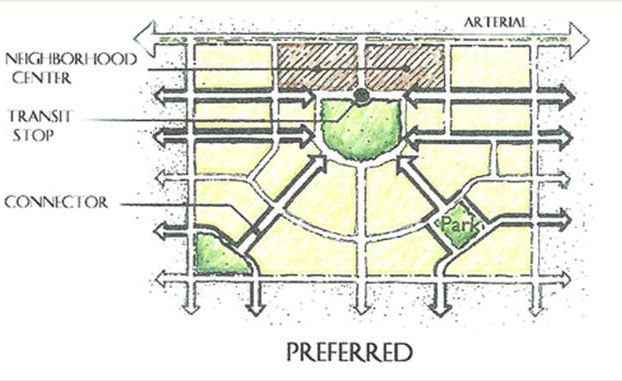 It reduces driving distances by placing complementary land uses near each other and provides more compact communities. 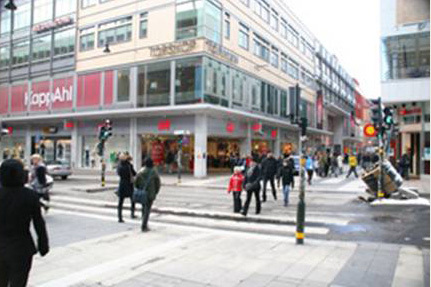 They have a good urban plan with wide sidewalks, safe crosswalks and other treatments that promote convenience, safety and aesthetic appeal. 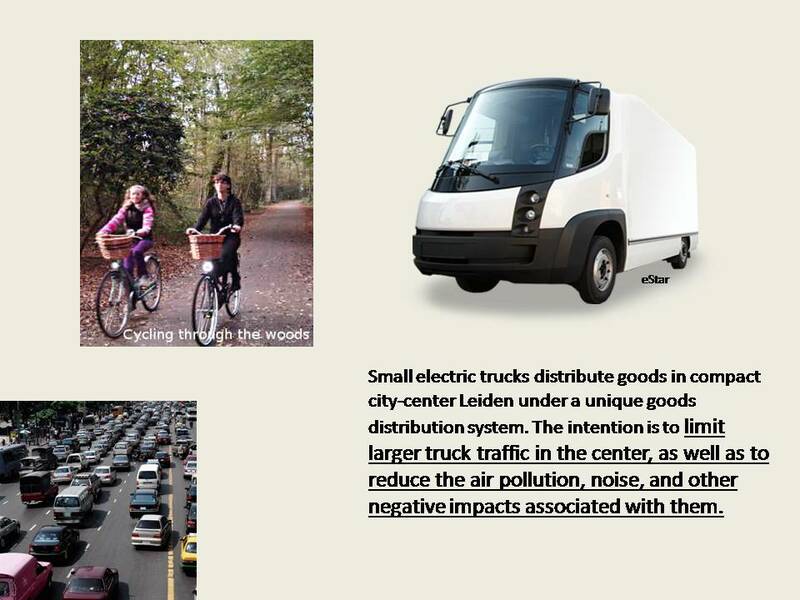 Besides the fact that the citizens use less gas/energy, the system has health benefits due to reduced vehicle miles traveled and improved air quality. Due to the implementation of “mixed use” it also means more tax revenue for the city. 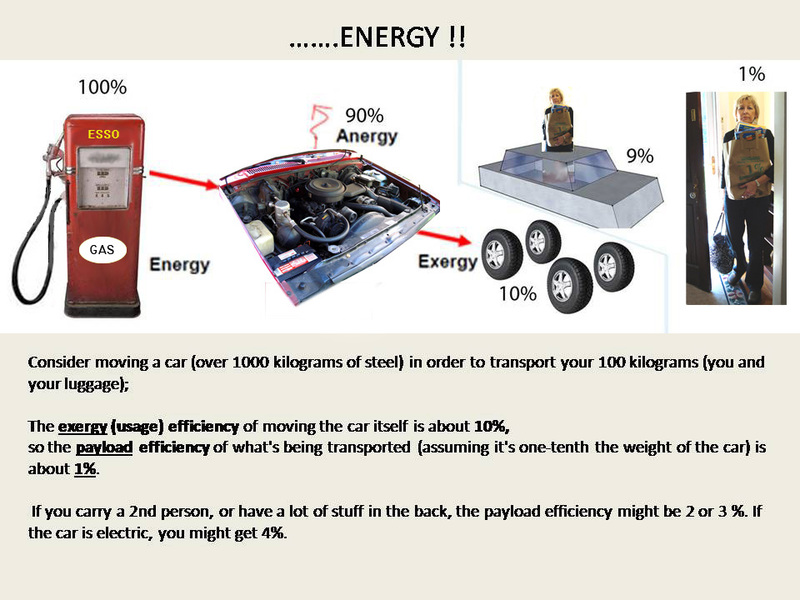 There are many ways that any given city or town could save their citizens energy if they really wanted to. I have been surprised by the inefficient layout of cities/townsso that having to use a car is a must. It is a fact that the vast majority ofall trips in the US are made by car. The average American’swork travel by car constitutes only one fourth of all trips by car; most trips are made for personal errands, shopping, and entertainment.